The arrival of the telegraph in Utah (1861) had a profound affect on communication with the rest of the nation. It stopped the use of the Pony Express within a couple of days of its transcontinental construction. Now news and other information could be shared from one end of the country to the other within seconds, and no state felt it was uninformed. The telegraph really brought Utah into national scene, as with other states and territories distant from the states back east. 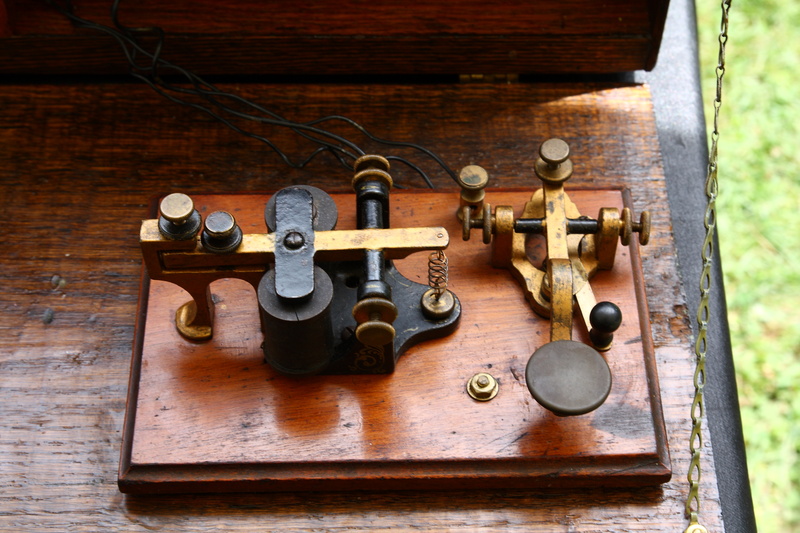 Morse code was the first form of communication in the U.S. by telegraph. Many Utahns were trained in “telegraphy” classes, and worked as operators for telegraph offices around Utah as more lines were set up. 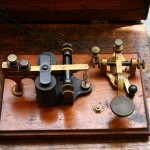 Their job was to learn Morse code, and operate a telegraph by sending and decoding telegrams. I like to tell my students the story of William Bryan, from Nephi, who was so fascinated with the arrival of the telegraph that he climbed a telegraph pole in hopes to “see” a message “fly” across the wire. He got into telegraphy and was an operator for a long time in Salt Lake City. To see more of William’s story and others who worked for the telegraph, click here. 1. Show the Morse code alphabet to your students and let them practice using it by writing messages to each other using the dots and dashes. If you feel like they could use a challenge, have them tap out their messages on their desk. It will take some time for students to decode the message, but they will recognize just how hard it may have been for someone just starting a telegraphy class. 2. Another idea is to write the beginning of a riddle or joke on the board, then put the answer in Morse code for the students to figure out. Here’s a link that will automatically turn your words to Morse code (so you don’t have to spend time coding yourself!). It will even play the taps out for you as if you were really listening to a telegraph. You’d be surprised how long a simple sentence can take to sound off!